Hello Darlings,My 2014 was filled with many lessons but the best one I've learned was how to just go for it! As women, we are famous for having keen instincts and analytic minds that can process too much at once. These two qualities are exactly what should permit us to be great at decision making however by nature we tend to be risks adverse. As a result in any decision that requires risk, we more often go for a safer choice even when the rewards are not as great. On a random Wednesday night over a cup of decaf coffee, I was browsing a number of my favorite online sites. It was not like I need anything else, in fact my walk in still contains clothing from high school days that I never wear but never seem to find the time to get rid of either. I definitely did not need anything but just the guilty pleasure of looking around was too good, especially with seasonal sales. As I came across a simple and yet stunning Dsquared2 little black dress, the process started...yup, the decision making process! You know the one where we weigh the pros and cons and another million and one reasons for why we should or shouldn't or could and couldn't just go for it! Not necessarily just applying this example to a choice of whether to buy or not buy a dress, as there are greater decisions in life to be made. However even a choice as simple as buying a dress can cause us great anxiety because we torture ourselves with a fact that it’s not a necessity. Why can’t it be as simple as I can buy this dress comfortably and it would look amazing on me in turn making myself feel great? Every once in a while every woman deserves to treat and spoil herself. By no means am I suggesting that you spend when you shouldn’t or can’t, first and foremost be conscious of your finances. But when a moment and finances permit, it is ok to be good to you and to just go for it. On the evening of December 31st as I was getting ready for an evening of fun, it was the very dress that I reached for. Not bought to be worn for any specific reason but just because I loved it, made me feel that much more wonderful. There is nothing worse than having to make a purchase and settling on an item that you needed just for the sake of having to wear it to a certain occasion. So yes, a dress decision is not life changing but the decision process is one that we apply to even the largest of our decisions. So when an opportunity presents itself when it was not expected, don’t dismiss it because it’s not what you expected but instead give it a chance and consider what it may add to your life. 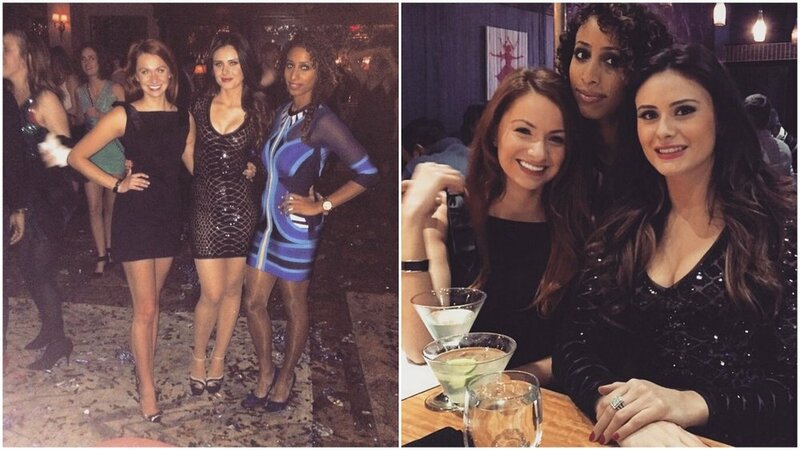 On that evening I rang in 2015 with a group of friends as a guest of Grey Goose at the annual New Year’s Eve bash at Toronto’s Soho House. 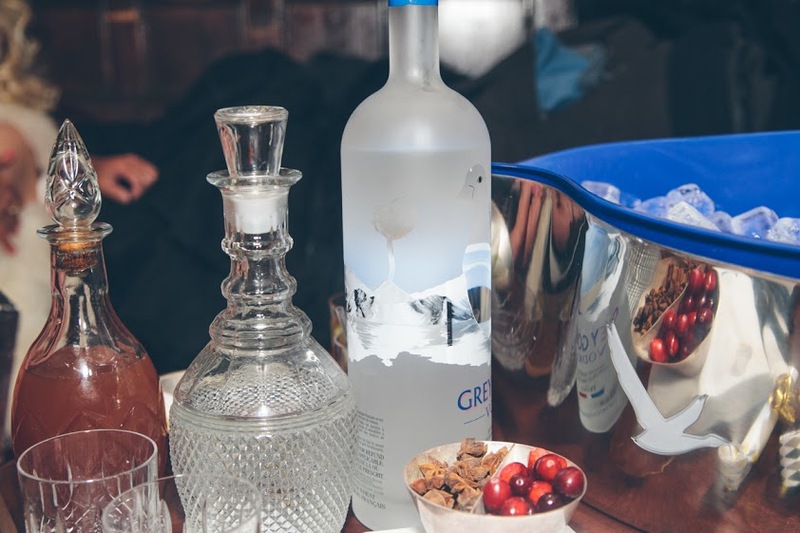 What a fabulous evening it was too — many thanks to Grey Goose for having us! As the confetti and balloons filled the air, I couldn’t help but feel the joy of another year and the opportunities, risks and chances that it may bring. So if there was one New Year wish that I could bestow it would be to have the courage to just to go for it! Trust your instinct and go for it without fear. Not every decisions is meant to be right but from what I’ve noticed there aren’t many wrong ones. The reason being is that in that moment the decision we made was a right one to us and therefore when things don’t go according to what we expected, does not mean that we made a wrong decision.